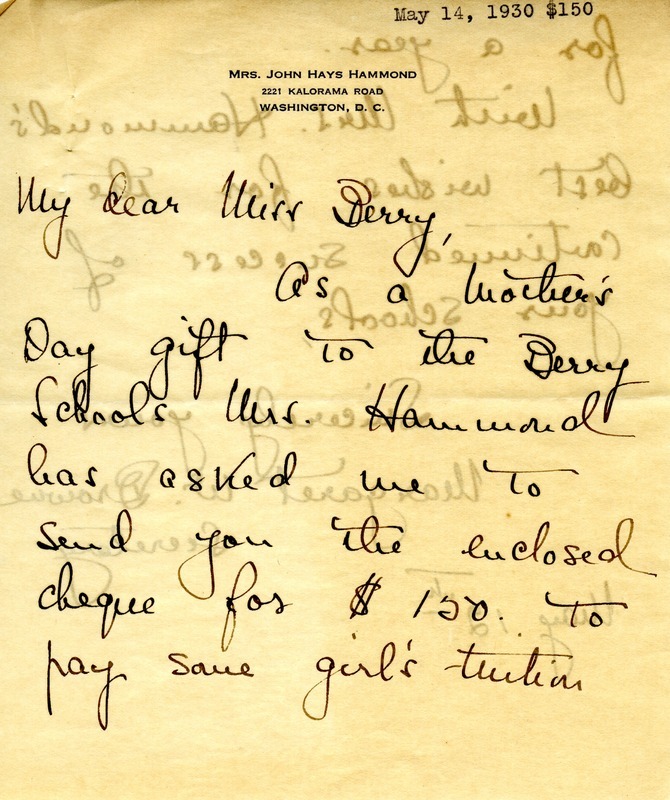 Natalie Harris Hammond's secretary, Margaret W. Browne, writes to send $150 to pay for a scholarship as a Mother's Day gift to the Berry Schools. 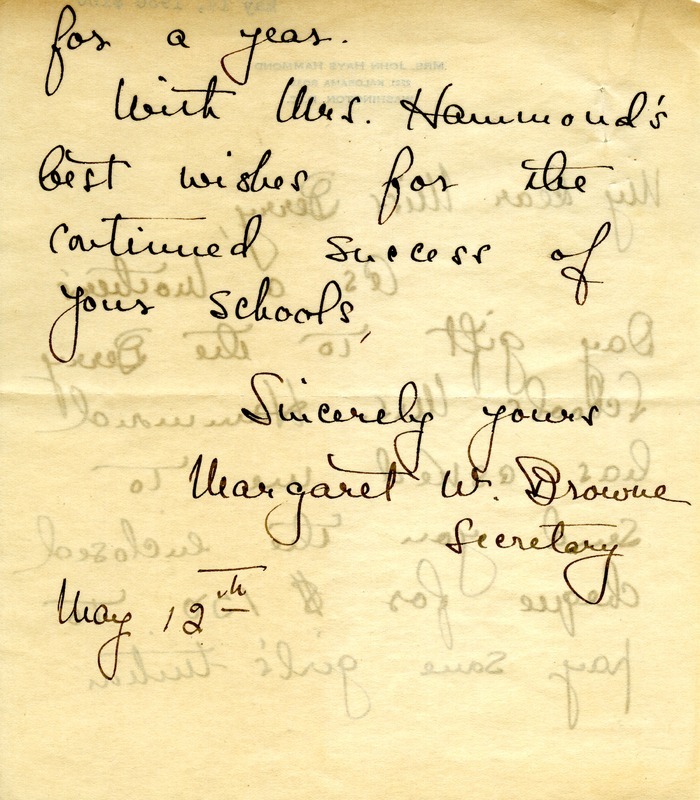 Margaret W. Browne, “Letter to Martha Berry from Margaret W. Browne.” Martha Berry Digital Archive. Eds. Schlitz, Stephanie A., Sherre Harrington, Chelsea Risley, et al. Mount Berry: Berry College, 2013. accessed April 20, 2019, https://mbda.berry.edu/items/show/12740.